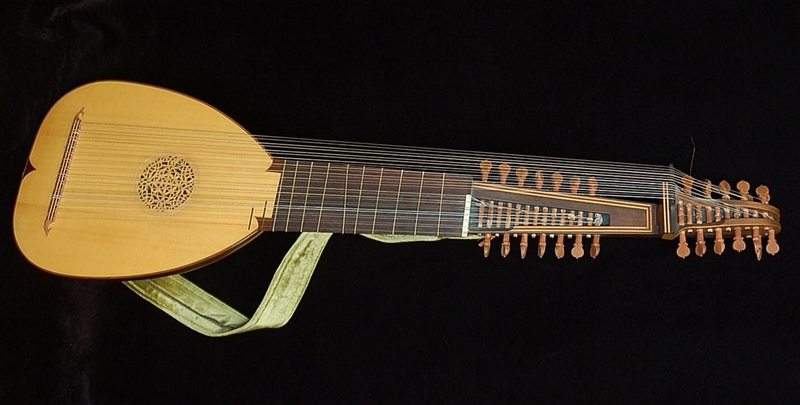 Traditional Renaissance Lute. Different kinds have 7, 8, 10, 11, 13 courses respectively 13, 15, 17, 19, 21 strings. Of course, these are only the main kinds. In reality there is a lot of different variations. 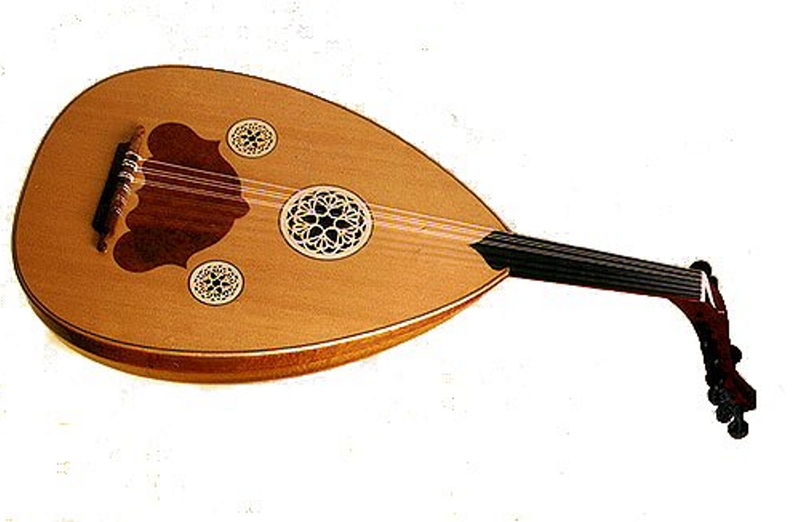 The oud (or ud) is one of the most popular instruments in Middle Eastern music.The European lute is a descendant of the oud, from which it takes its name (al-oud). In Greece it is known as the OUTI and in Iran as the BARBAT. The most common string combination is five pairs of strings tuned in unison and a single bass string, although up to thirteen strings may be found. The most mysterious and, at the same time, surprising family and history of the Ukrainian early musical instruments. 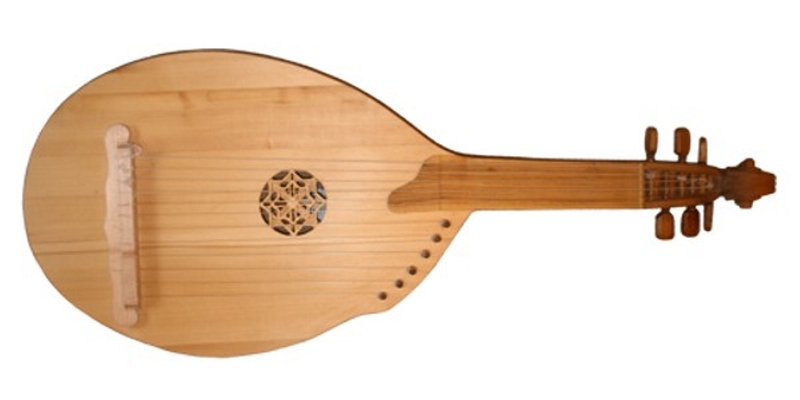 During the 16-th century Cittern was the second popular instrument after the lute. 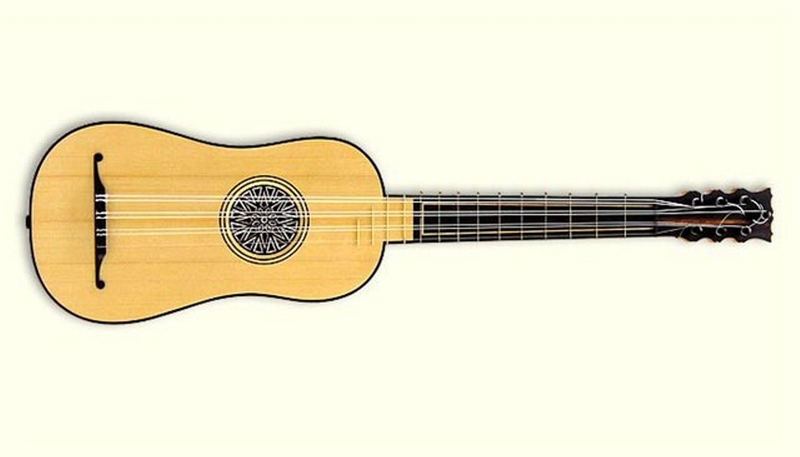 The simplest Cittern form bad 4 courses, each had 2 or 3 strings. The strings in each course were tuned in unison with the added octave in some courses. 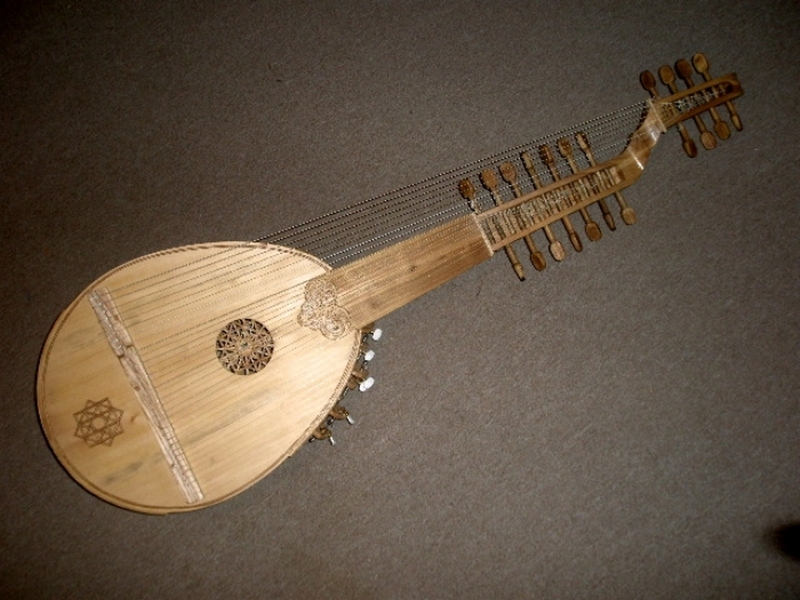 Cittern had many tunings and forms and was often repeatedly tuned from one piece to another. 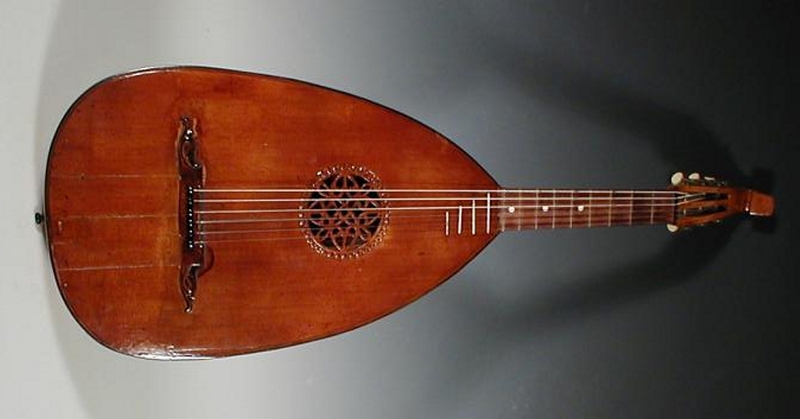 One of the oldest instruments from the lute family. There are keeped very little of these instruments and there are very little performers. That's why a very scant information. But modern performers keep the traditions and have a comprehensive information. Orpharion is practically the same as Bandora. The main difference is the string number and the tuning. it is the tool of the Italian origin of last quarter of XГ»IX century mandolin groups. 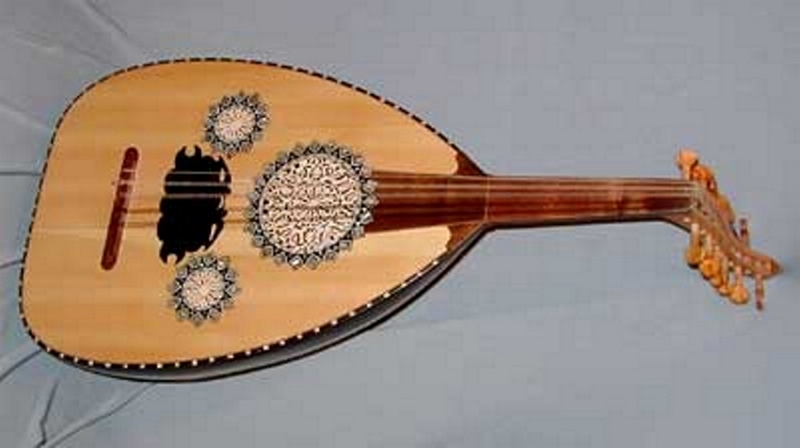 It has five pairs metal strings with quint tuning, as at the Milan mandoline. The sound is taken by mediator. Special interest represents pear-shaped lower sounding board, typed of 37 narrow, slightly concave rosewood plates. 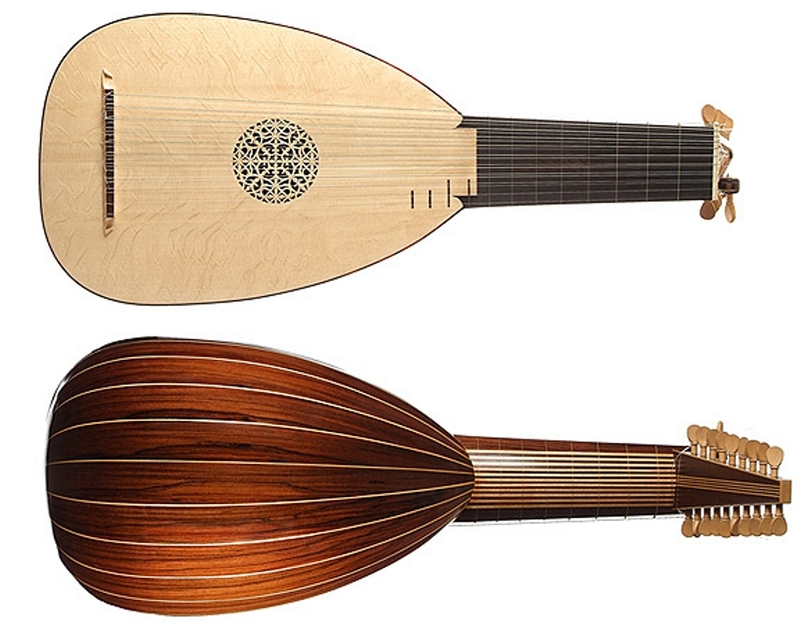 The instrument that looks like Renaissance lute but has 6 strings as a guitar. The instrument was much discussed. But one is clear, that this instrument was very popular from the middle of the XIX century till the beginning of our century. The name "mandore" first appears in French literature in 1585, and "mandola" in Italian in 1589 to describe a lute-like instrument. The name is probably derived from "mandorla" which is the word for almond in Italian. 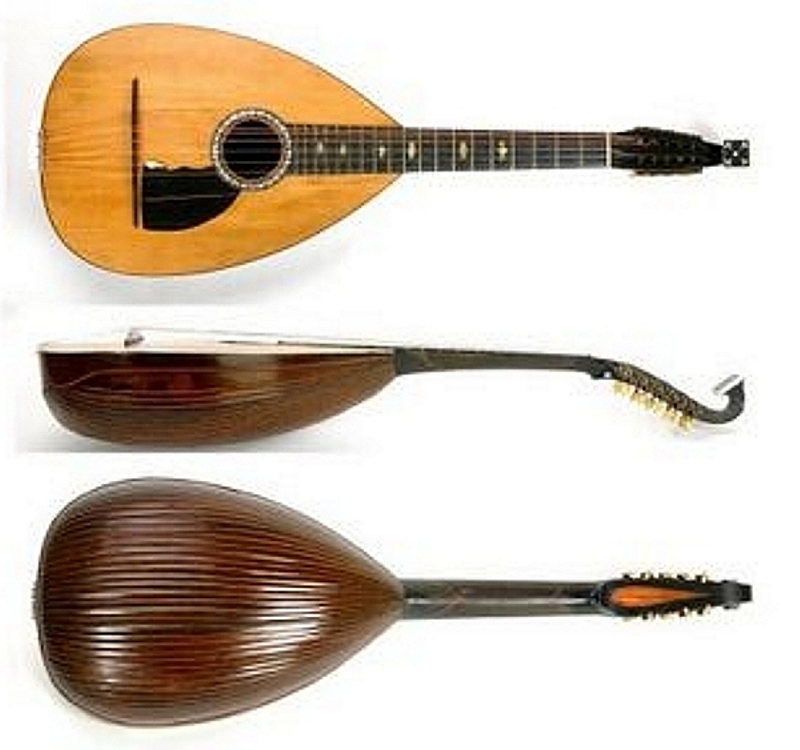 "Mandolino", a term first encountered in 1634, is the diminutive of mandola, meaning little mandola. Some of the oldest surviving mandolins were made by the famous violin maker Stradivarius in the late 1600s. The mandola (US and Canada) or tenor mandola (Ireland, and UK) is a fretted, stringed musical instrument. It is to the mandolin what the viola is to the violin: the four double courses of strings tuned in fifths to the same pitches as the viola (C-G-D-A low-to-high), a fifth lower than a mandolin. 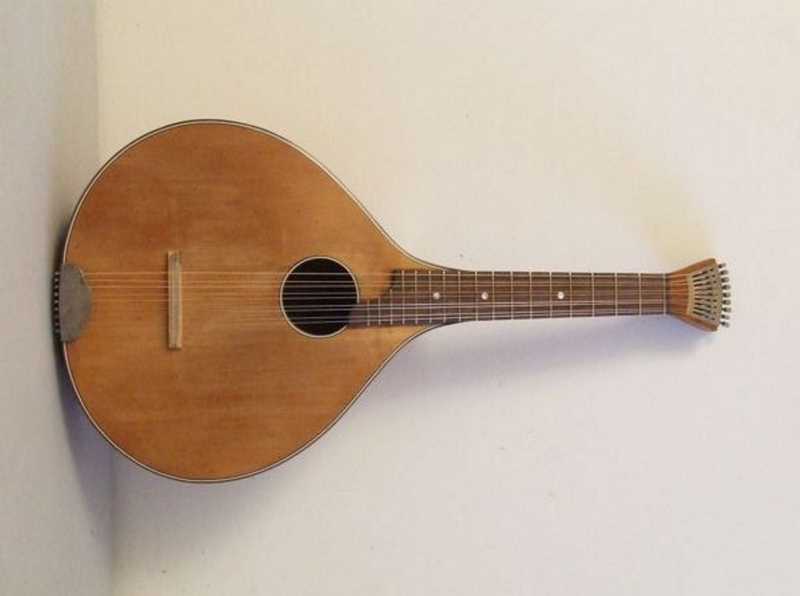 However, the mandola, although now rarer, is the ancestor of the mandolin, the name of which means simply "little mandola". The instrument remindering the lute but of smaller dimensions. It comes from the south countries of Europe. Widely distributed is the Naples Mandolin with 4 courses, formed in unison and having violin pith. Milan Mandolin has 5 courses. 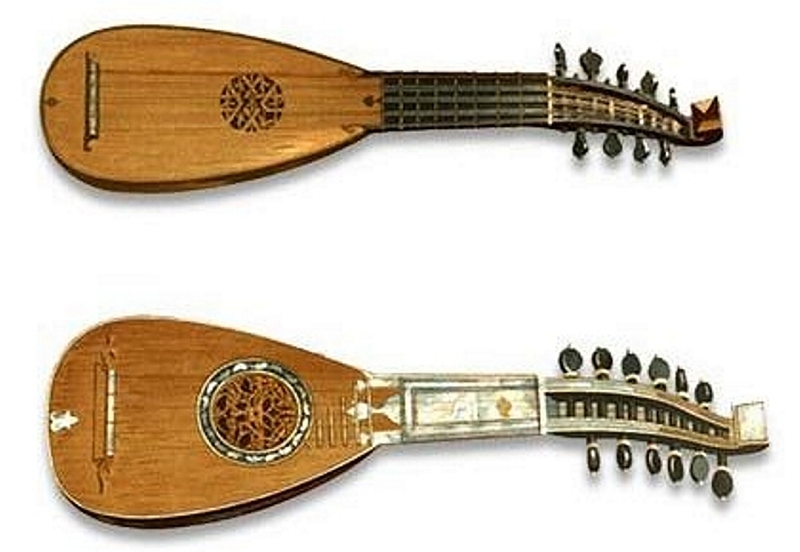 In contrast to the other lute instruments mandolin is played with the mediator by tremolo. The modern mandolin has metal strings. Vihuela - from Spanish guitar. This antique instrument besides of solo was used in accompaniment. The accompaniment was recorded as in our day's guitar parts in jazz and variety music in kind of letters. It is played by fingers and by the mediator. The name of the instrument speaks for itself. 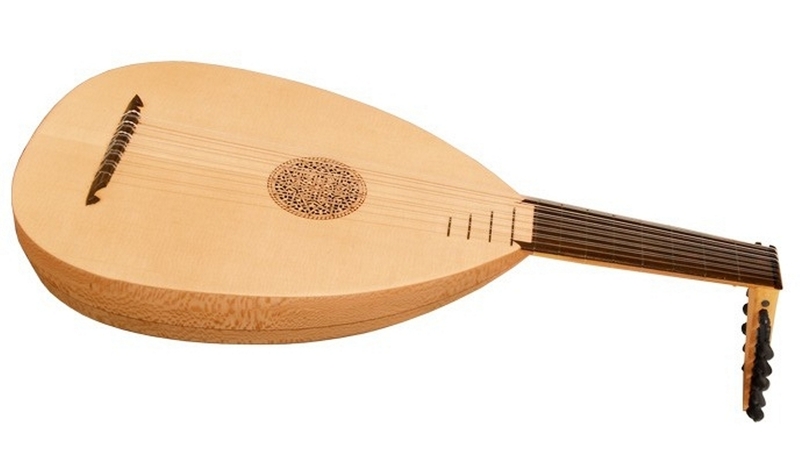 Of course, just this instrument was the transitional model between the lute and the modern classic guitar. But the contribution of this instrument into the world culture is so large that the word "transitional" falls away. For several centuries of lute instruments, there was some confusion in the names and classifications. This is most likely due to the fact that evolution took place in different countries. Each country's culture has left its imprint. Also affected the differences in languages and a slow exchange of information. Is difficult to understand these intricacies, sometimes impossible, after so many years. The name of the "Mandola" comes from the ancient pandura, also known by such names as "Mandora" and "Mandole", "Pandurina" and "Bandurina"